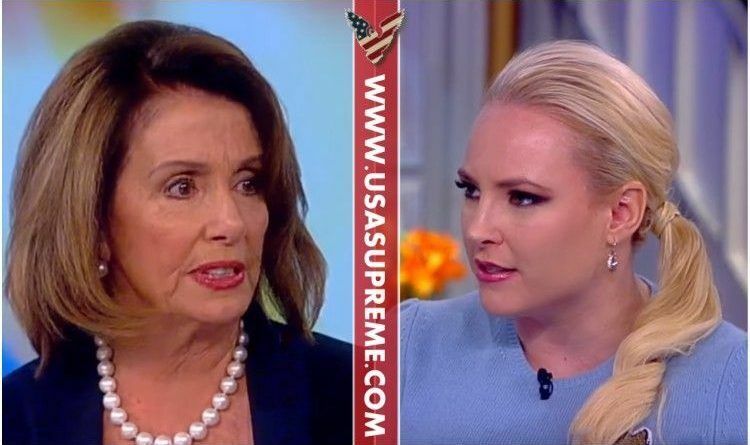 WATCH: Nancy Pelosi Tries To Bash Trump Meghan McCain Response Shuts Her Down For Good! Nancy Pelosi is a San Francisco institution. Loved by many, scorned by others, there’s no denying her political acumen and success.She was first elected to Congress 30 years ago and climbed her way through the political power structure to become Speaker of the House, achieving the highest political office ever held by a woman in this country. 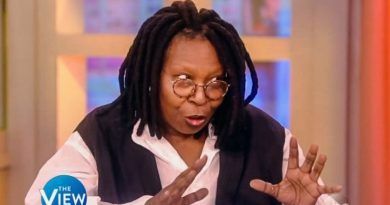 On Friday’s “The View”, conservative co-host Meghan McCain argued with House Minority Leader Nancy Pelosi, at one point talking over the congresswoman. “There’s a fracture in your party, in the same way, there’s a fracture in mine. And there were a lot of people like Tim Ryan that were calling for you to step down to make room for new blood. And I don’t think it’s necessarily about gender. It’s about leadership. Look at the Bernie supporters versus the Hillary supporters. How do you respond to that,” McCain said. “Let me, with all due respect, disagree with you. There is not a fracture in our party similar to what’s happening in the Republican party,” Pelosi said. McCain immediately objected, talking over Pelosi as she tried to elaborate. Who really cares what Nancy Pelosi says or even thinks! She had proven over and over again how incompetent she really is! She lives in her own world and keeps forgetting that there are other people in this country besides Democrats who aren’t fools. Thank you, Megan. The other idiots should look at your view. 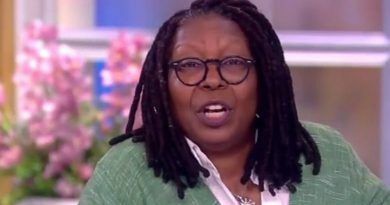 They are rude, disrespectful to everyone that does not share their view. ← TREASON! Hillary Clinton Quickly Rushed TEN Russian Spies Back to Moscow Before FBI Could Question Them! 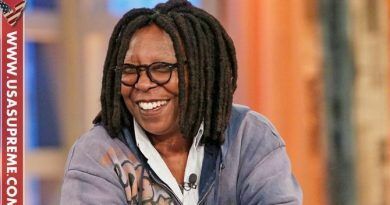 Whoopi Tried To Discredit Fox News’ Brian Kilmeade… He Blasts Her With An Epic Response!